I’m usually not one for traditions. I could not care less about 90% of the wedding traditions in place these days. I believe couples should make their wedding day whatever-the-heck they want it to look like, traditions or not! However, one of the fun wedding traditions alive and well, particularly where I live in the south, are pre-wedding day bridal sessions to showcase your bridal look before the hustle and bustle of a wedding day. Most brides opt to do a bridal session in which they don their wedding dress, bridal hair and makeup, wedding day accessories, and trial run wedding bouquet for some formal portraits. 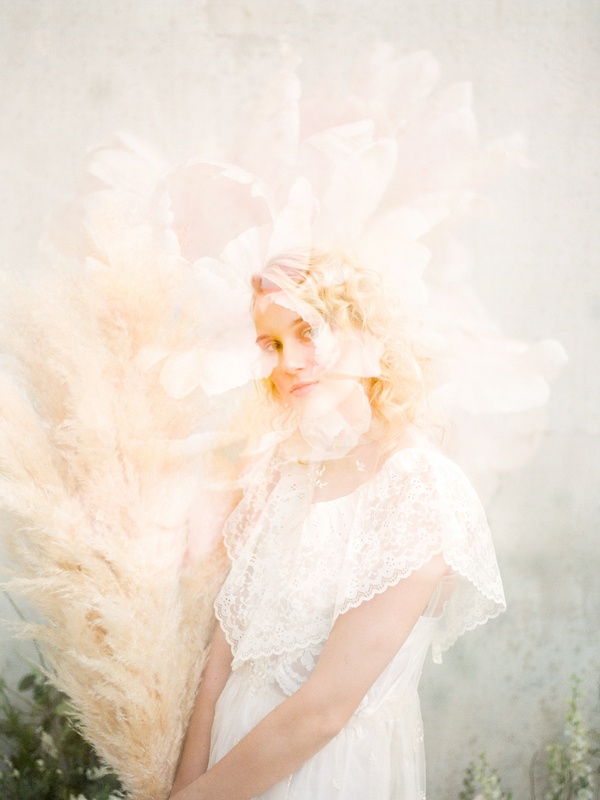 There are a couple of fun elements about your bridal session which make it a favorite wedding tradition, for me. 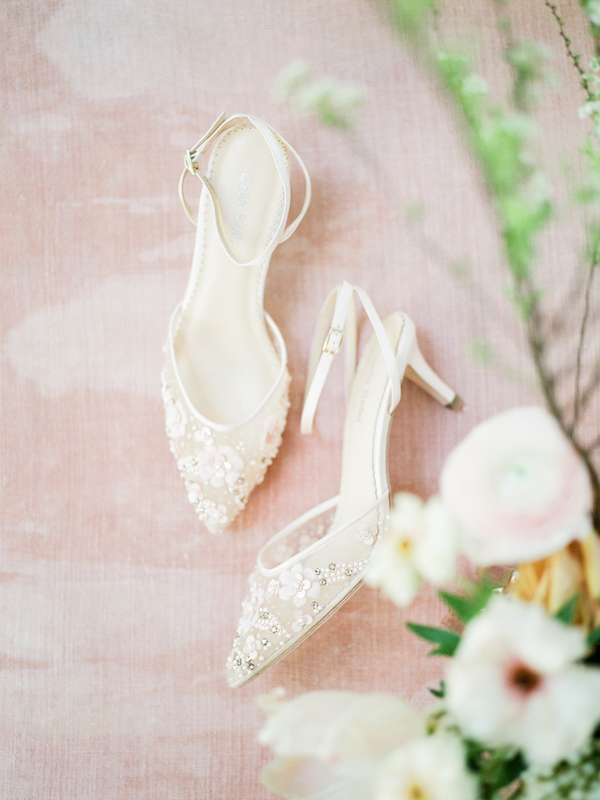 If there are things you want to change up for your bridal session from what you’re planning on doing on your wedding day, your bridal session is your chance! Whether you want to experiment with your bridal hair and makeup, bridal bouquet, wedding day accessories, or even the location of your photos, a bridal session is a perfect opportunity for that. 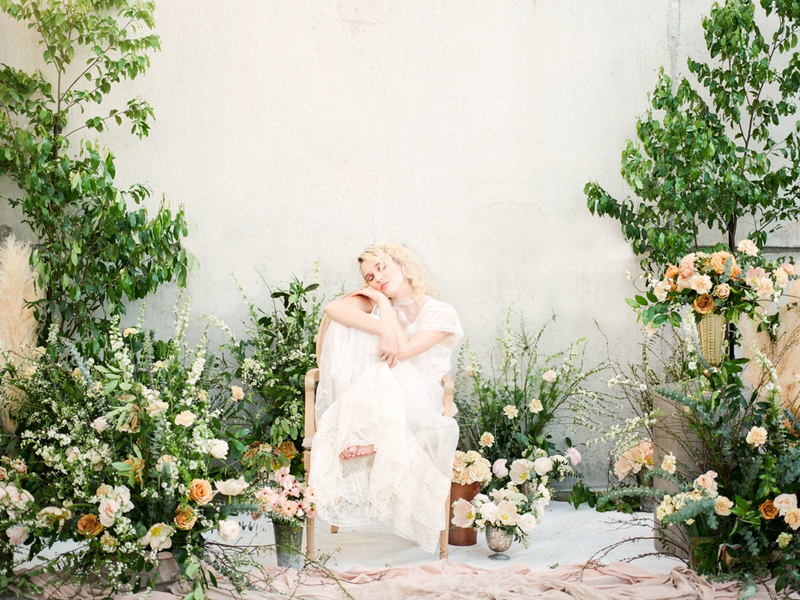 For this bridal shoot in particular, Elizabeth Miller (the amazingly talented florist at The Petaler) wanted to do a large ground installation of florals; a juxtaposition of city & english garden. Beyond a bridal session, an awesome installation like this would also make a beautiful ceremony backdrop for any wedding or elopement. 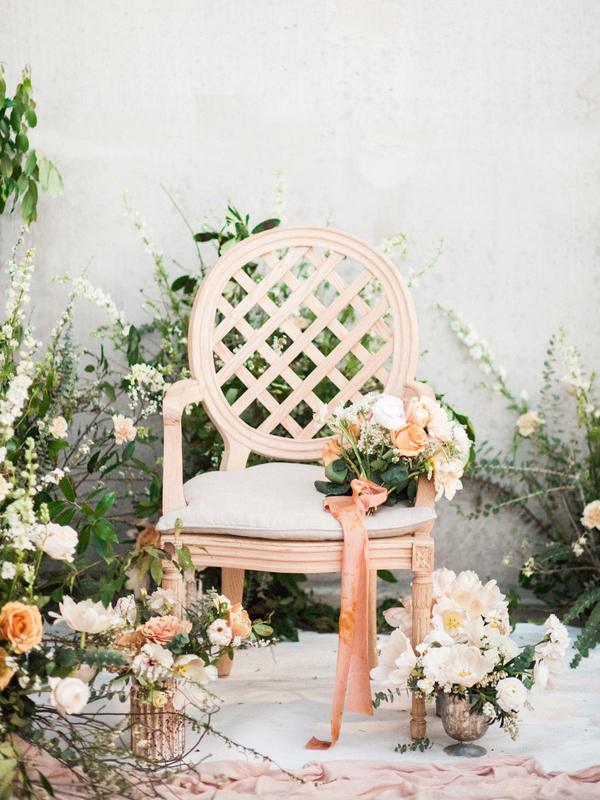 While this may not be something that a bride is able to achieve on her wedding day, having the freedom and space without the restrictions of a wedding day timeline makes this perfectly possible at a bridal session. 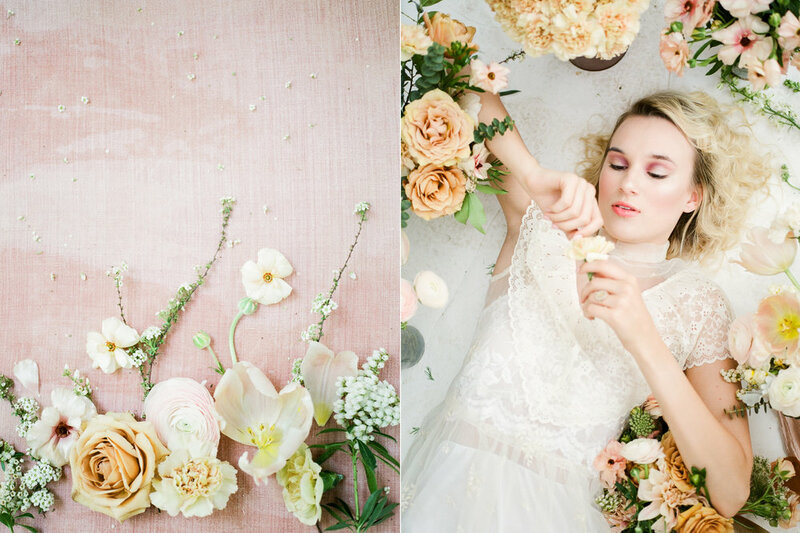 The warm tones and wild compositions made for the most lush and inviting bridal session with Amy absolutely killing it in front of the camera!